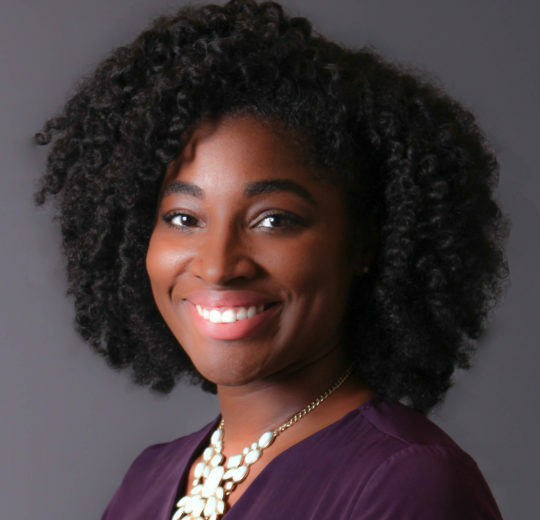 Joscelyn Reed joined Turnaround for Children in 2017 as an Instructional Coach in Washington, D.C. In 2018, she became a Leadership Development Coach. In this role, she facilitates staff development in individual and small group sessions, focusing on behavioral management practices and building a positive community culture. She also supports Turnaround’s business development. Throughout her professional career, Joscelyn has served as a master teacher (grades 1-4) and instructional coach in a charter school district (grades K-8) in southeast Washington, D.C. and Prince George’s County, Maryland. Joscelyn has had opportunities to grow not only as an educator, but as an investor in building collaborative and creative learning environments and professional communities in the D.C. metro area. In 2016, she focused on family involvement practices by completing the Family Engagement Fellowship with the Flamboyan Foundation. Joscelyn holds a Master’s degree in literacy education and instruction from Roehampton University in London, England and a B.S. in elementary education from Seton Hall University. My child, Zaire, and students I work with. Watching them light up with excitement after tackling a challenging task motivates me to continuously work to create opportunities for students to thrive. It is incredible to see students celebrated as unique individuals, allowed to grow and learn in a way that is tailored to their needs and learning styles. Purposeful, progressive, and collaborative. Our work is purposeful and specific to providing stability and consistency for the children that need it the most. It is progressive and always growing to include the latest developments in science to support school practices serving our students effected by adversity. Collaborating on a meaningful level with school leaders, teachers and team members creates a space for initiatives to continuously flourish.